You might not be familiar with the Internet of Things, but you use it every day. You’re using it right now. It’s changing the way we live and work, and right now there’s an extremely cheap way to learn more about it. 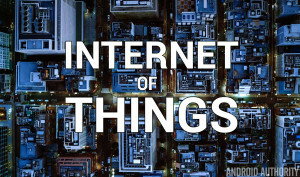 Put simply, the Internet of Things refers to any device which has a sensor and connects to the internet. Your mind naturally goes to phones and laptops, but it could be washing machines or engine components. It’s growing exponentially too — these days anything that can be connected to the internet invariably will be. If you want to get more involved, right now there’s a huge price drop on the Complete Internet of Things eBook Bundle. This six-part guide is a hands-on deep dive into the way the Internet of Things works. It covers everything from the connectivity architecture to security issues — an extremely hot-button topic right now. This is interactive learning, and much of the bundle is based on building your own projects. Smart temperature controllers, autonomous mobile robot cars, and facial recognition systems are all things you’ll put together as you get more immersed in this world. As you can see, the value of this bundle is approaching $200, but this week you can pick it up for just $19. That’s less than the cheapest eBook in the bundle, so it seems a pretty tasty offer to us. The deal ends this weekend. To take advantage, or to find out more, hit the button below.